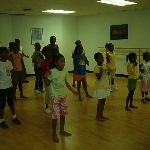 The PNM Summer Performing Arts Day Camp is held annually during the summer months. Students take classes in Dance, Drama, Art, Gymnastics, Karate, and Cheer. Recital programs, camp shirt, lunch and snacks, field trips (added fee), games, movies, and special projects are also included in the program. We accept ages 5 - 16 and open registration for camp the first monday of April. Registration is open all summer long. Check out the summer camp page. 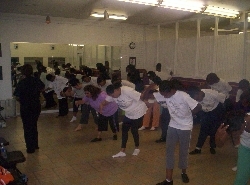 Smaller than the Annual Effective Praise Conference, our quarterly workshops are held every 3 months and concentrate on many styles of dance each quarter. Each workshop consists of 6 styles of dance ranging from Praise to Classical Ballet. Bring your group or just come alone. But be prepared for an intense dance experience that will challenge your mind, body, and soul! Do you really want to dance but feel like you might be a little shy in front of a group of strangers? Need help with a new routine for yourself or your dance team? Well don't fret. You can still enjoy the freedom of dance without the pressure. Our private single and group lessons are affordable and intimate. Schedule your hour session with our front desk staff at a time convenient for you. Any style we teach will be available to you. Is it inconvenient for you to come to the studio? Don't worry! Your private instructor is also able to come to you! Just let tell our staff your location and we can go from there. Now thats what I call service! Private and public workshops are a great way for your team to learn new choreography, technique, or just to step outside the box! We can customize a workshop no matter how big or small no matter where you are. Contact our offices to start your workshop consultation now! Conference Kickoff & Ministry Nights- See dance, mime, singing, and drill team ministries from all over the United States minister in their own way. Session 1 & 2 Workshop Classes - Choose from over 20 different workshop classes in different arts ministries. Make your own schedule for each day. All classes teach different material each day. Dinner Gala Concert - Formal Dress required. Come Eat, Fellowship, and enjoy a concert filled with professional dance ministries, special guest emcee, singers, and much more. Conference Cool down - Conference attendees showcase dances, songs, skits, and steps from their workshop classes. 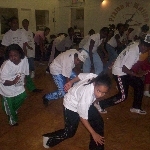 PNM provides extended day dance programs to Daycares, elementary and Jr. High schools. 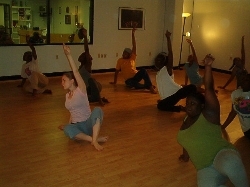 The school may choose dance style, number of students, and schedule. To receive information on having a PNM representative present this program to the Extended Day Coordinator or Director for your school, please contact PNM for more information on setting up the "Ijuswannadanz" After-School Program.